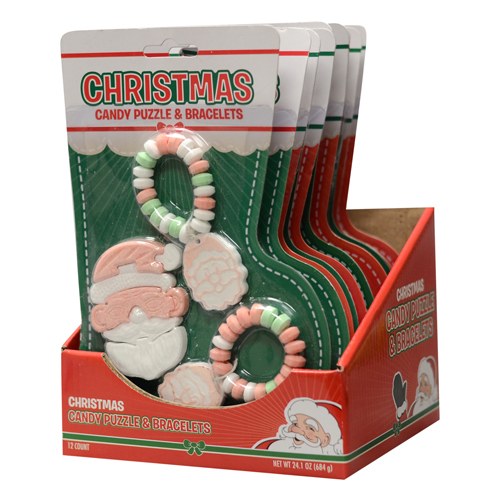 What a special Christmas candy treat! 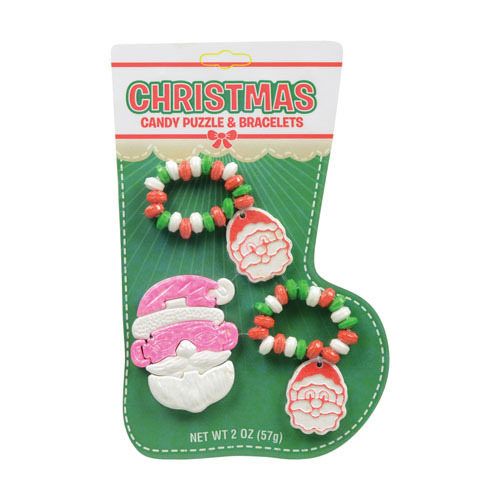 Christmas Candy Puzzle & Bracelet includes a Santa Claus or Christmas tree candy puzzle and two candy bracelets. Yes, that’s right three products in one! 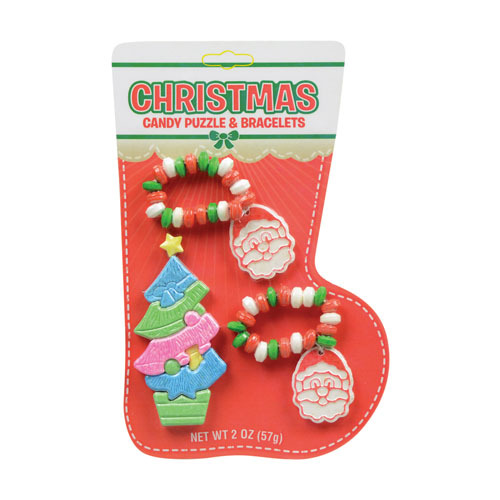 The bright holiday colors and Santa charms are almost too cute to eat. 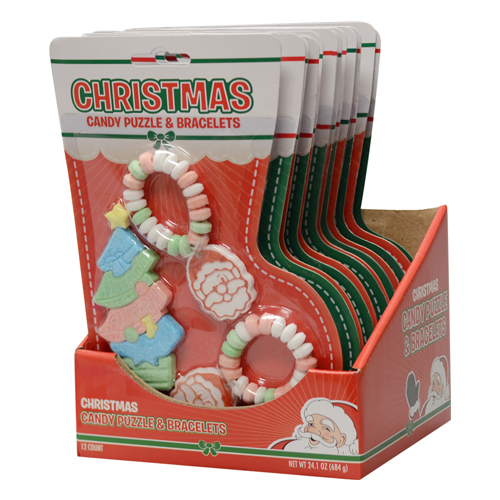 These are perfect for a holiday redemption prize or a Christmas-themed party gift.